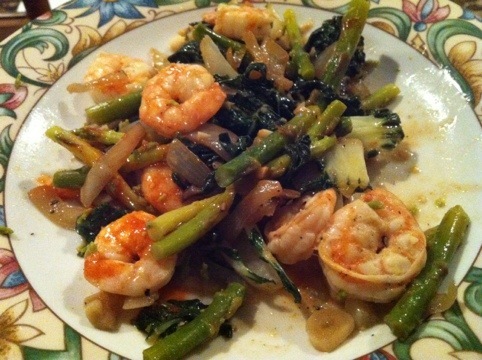 I’m a fan of light meals consisting of seafood and vegetables. 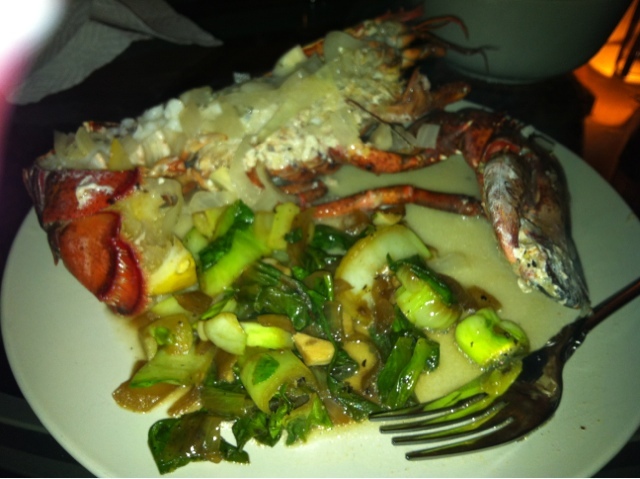 I make these simple inexpensive meals by buying fresh seafood from my local butcher and fresh vegetables from a local produce store. 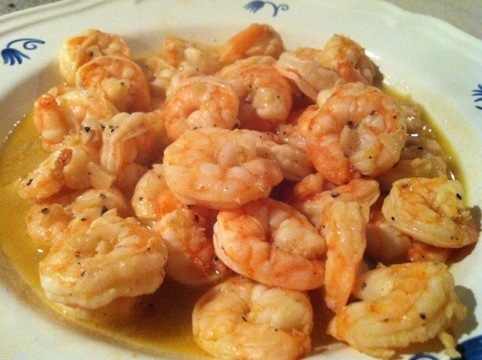 First I de-veined the prawns and put them in a bowl with a little lemon juice, added pepper and a tiny dash of cayenne. Simply done. 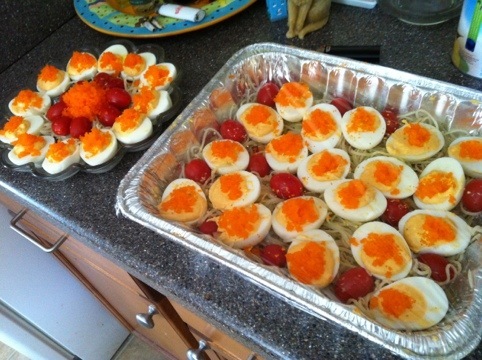 I cooked them for about 10 minutes until done. 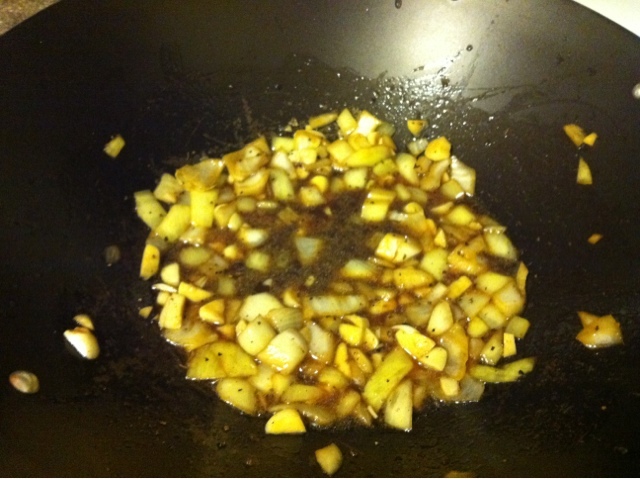 I removed the veggies and added the asperagus to the same pan with a little butter, retaining some of the juices but stirring often. I cook them and remove them from the pan and serve. 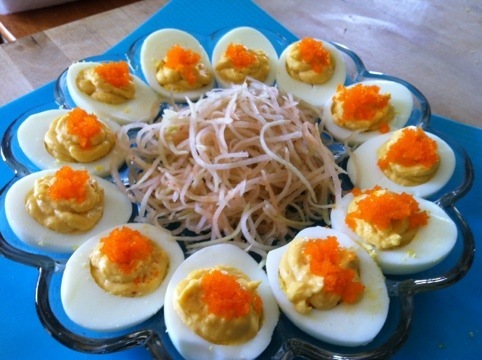 Sriracha Deviled Eggs with tobiko is a great party favorite. 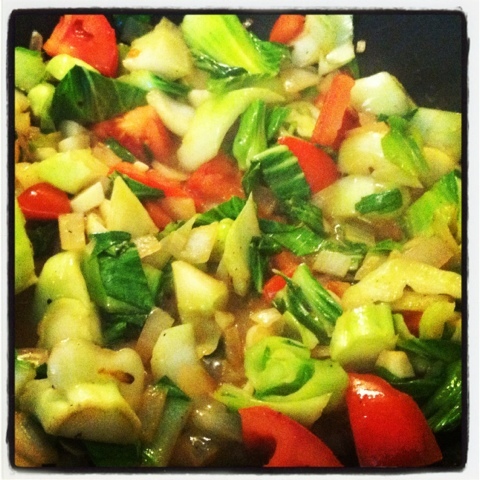 Although being very inexpensive to make, it’s a gourmet great with a colorful flair. 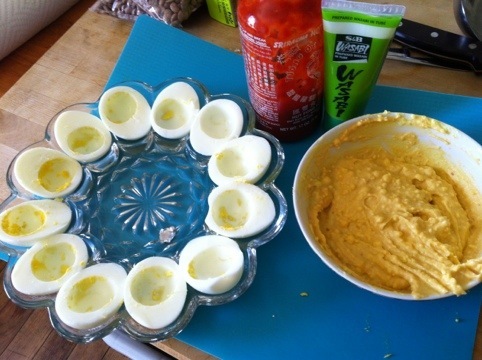 Boil six eggs, cool and deshell. Remove the yolks and place in a boil. Let cool. Add mayonnaise, sriracha and dash of salt. 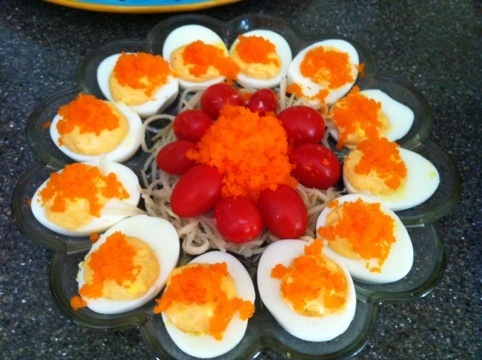 Fill egg halves with the egg mixture and top with a tiny dime size portion of tobiko. 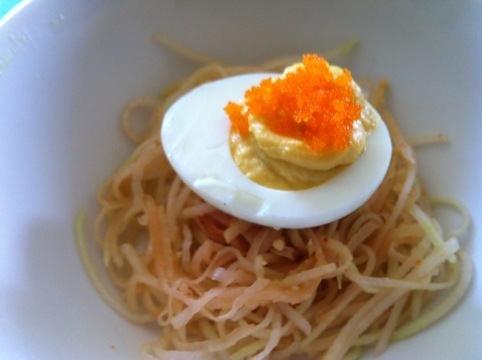 Serve with green papaya salad mixed with a vinagerette and cherry tomatoes. 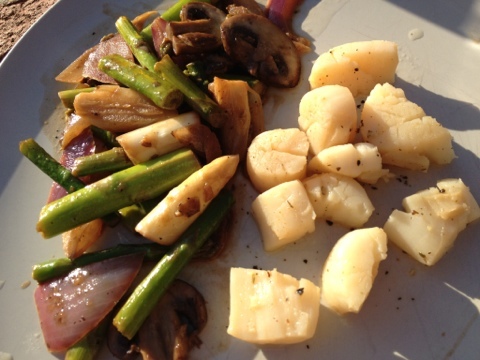 I wanted a simple lunch and saw that fresh bay scallops were on sale. Sometimes a meal’s inspiration comes from what you crave and have. So in one pan, I sauteed the scallops in a light butter sauce (2 pats of butter and 1bsp water) with a dash of salt, pepper and parsley. 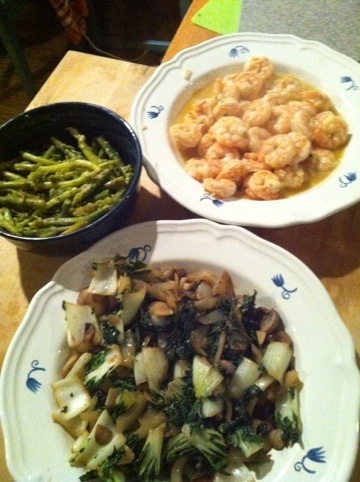 In another I combined asparagus, red onion and mushrooms. 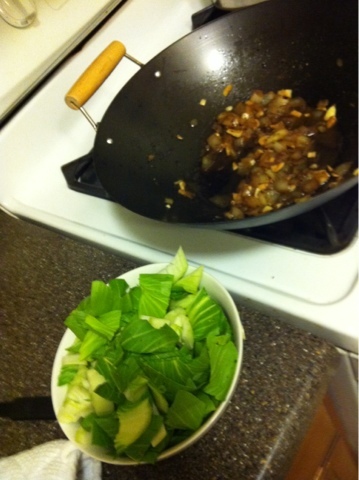 Lighty sauteed in a pat of butter, soy sauce and a dash of water. Cooked both at the same time, approximately 1o minutes until LUNCHTIME. Mmm.